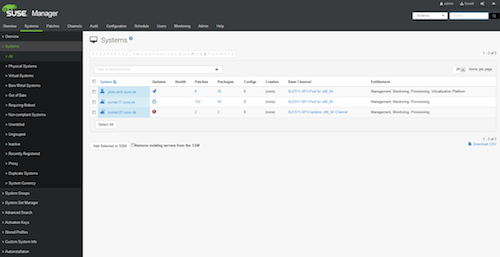 SUSE Manager is a open-source IT management solution with a centralized console for managing multiple Linux distributions, hardware platforms (x86, IBM Power Systems and z Systems), as well as physical, virtual and cloud environments. SUSE says that the solution helps customers reduce the complexities of managing their IT infrastructures, a key advantage as customers look to cut costs and increase the responsiveness required to adopt DevOps and hybrid cloud solutions. The updated SUSE Manager 3 is now available, featuring Salt automation software, improved configuration management, easier subscription management and enhanced monitoring capabilities. Confronting the fact that manually updating, patching and configuring servers can be difficult and time-consuming, SUSE Manager reduces costs with automated, centralized management of Linux systems.